South Korean President Park Geun-hye has publicly condemned the actions of some of the crew members during the sinking of the Sewol ferry last week and promised that those who had “abandoned their responsibilities” would be held to account. In an official statement the president said that the actions of the crew on the bridge “were utterly incomprehensible, unacceptable and tantamount to murder”. “The captain did not comply with passenger evacuation orders from the vessel traffic service… and escaped ahead of others while telling passengers to keep their seats. 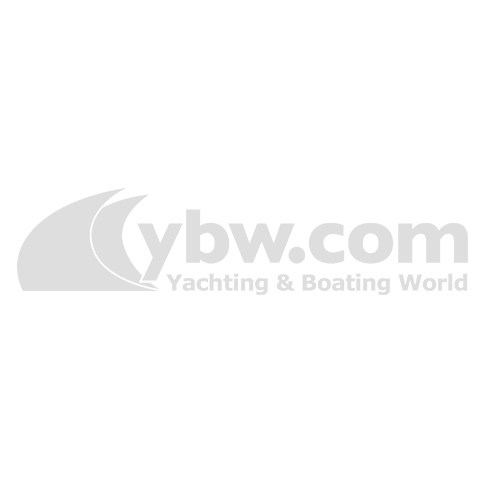 This is something that is never imaginable legally or ethically,” she said. Seven people have been detained, including Captain Lee Joon-seok and two crew members, and five have been charged with not fulfilling their duty to evacuate passengers safely, officials told the South Korean Yonhap news agency. Meanwhile the families of the 190 people who are still missing wait on nearby Jindo Island as rescuers return daily with new bodies recovered from the sunken hull. The ferry sank in two hours with 476 people onboard, including 339 children and teachers on a school trip. Only 174 people were rescued and only two of the 46 lifeboats on board were deployed, according to reports in local media. Mass outpourings of grief in South Korea have turned to anger as transcripts released on Sunday of the last communications between the crew and the controllers reveal panic and indecision on the bridge. 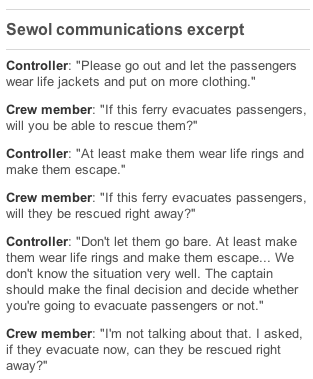 In them, a crew member repeatedly asks whether rescue vessels are on hand if an evacuation takes place while the controller argues that they need to start handing out lifejackets right away. According to the BBC, reports suggest that passengers were told to remain in rooms and cabins while the ship listed and sank. Reuters also reports that the first emergency distress calls were made by children onboard.